‘Battered into fifty shades of black and blue,’ the pathologist added. ‘Just remember what a mess throwing the book at someone makes.’ She handed a paperback to the detective. September 1941. Special Agent James Nessheim has been sent to Hollywood where he somewhat reluctantly works in a movie studio screening scripts. Supposedly working out of the Los Angeles FBI office, he actually reports directly to Assistant Director Harry Guttman. One of Nessheim’s informers, Billy Osaka, a Japanese-American journalist and translator with a gambling problem, has gone missing after asking to see him urgently. Nessheim sets out find Osaka, but soon discovers that others are also searching for him. His boss has also been dragged into murky waters when a State Department employee with youthful communist sympathies approaches him to reveal that Russians have been seeking to activate him as a spy. The next day the man is found dead in the park in which they met. As Nessheim tracks Osaka’s trail, Guttman discovers that a sizeable amount of Russian-owned money has been transferred from New York to a Japanese bank in Los Angeles and asks his agent to find its destination. Neither Nessheim or Guttman realise the significance of their respective cases, but both are acting beyond their remit and have hunches that they should keep digging away despite the warnings to the contrary. The Informant is a historical political thriller set immediately prior to America entering the Second World War. It’s the second book in the James Nessheim series, but can be read as a standalone. The strength of the story is the plot and contextualisation. The tale is told through a set of alternating perspectives of James Nessheim in Los Angeles, and is his boss, Harry Guttman in Washington and New York, and centres on finding a missing Japanese-American informant, uncovering the work of Soviet agents, and establishing if there is a link between the two and its significance. Whilst, the timeline is linear, the plot weaves together a number of strands and subplots to create a complex, if somewhat fanciful, stew. Nevertheless, Rosenheim makes sure the reader stays orientated and that the story keeps moving forward. Moreover, he evokes the tense atmosphere, politics and political landscape of the time and nicely places the story in its locales, with a strong sense of place with respect to the film studio, Little Tokyo in LA, and the hills above Santa Barbara, and context with respect to the marginalised position of the Japanese in America and political sympathies with communism and the plight of the Soviet Union as German troops advance on Moscow. The result is a thoughtful, engaging and well told tale. I'm launching two of my books this week - Stumped and The Data Revolution - in the Maynooth University Bookshop, Thursday 26th at 4.30pm. It's a joint event with my colleagues Mark Boyle and Chris Brunsdon who are launching their own tomes. More details can be found here. If you are in the vicinty and fancy coming along then please do. Tommy turned the ignition key. ‘Are you sure this is a good idea, T?’ Sally asked. ‘Are you sure that staying is a better one? We need to get away, Sal, spread our wings, see the world.’ He gunned the engine. ‘And now he’ll have a reason.’ Tommy let out the clutch, pulling out slowly into blinding snow. February 1959. After watching Buddy Holly in concert lawyer and investigator Sam McCain drives home to Black River Falls, Iowa, through a winter storm with the unrequited love of his life, Pamela. 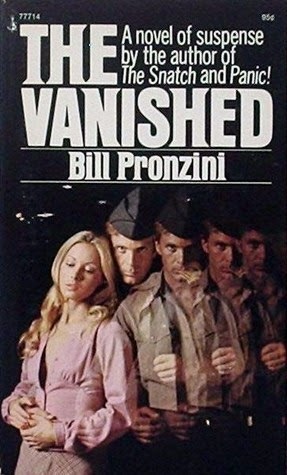 He wakes the next morning to twin disasters: his rock and roll idol has perished in a plane crash, and Kenny and Susan Whitney have been killed in an apparent murder-suicide. To make matters worse, McCain was present when Kenny blew his brains out, having been sent to the mansion by his boss, the acerbic Judge Esme Anne Whitney. McCain is not convinced Kenny killed Susan, but local police chief Cliff Sykes Jnr thinks it’s an open and shut case, and what’s more is delighted given his rivalry with the judge. McCain finds himself stuck in the middle both professionally and privately. The judge wants McCain to prove Kenny’s innocence, the police chief wants him to stop poking around in the investigation; he’s in love with the lovely Pamela, the judge’s personal assistant, whilst Mary Travers is in love with him and her fiancée detests him. And to add a complication, McCain’s younger sister has got herself in trouble. All McCain needs to do is solve the murder-suicide and resolve his personal life and his sister’s problem in the full glare of small town America. 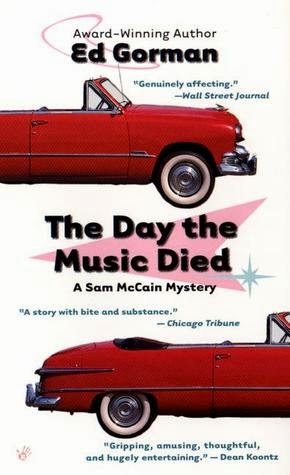 The Day the Music Died is a P.I. novel set in a small Iowa town in the late 1950s and is the first book in the Sam McCain series. In many ways it is the mirror of the typical hardboiled P.I. tale set in a big city. McCain is smart, pleasant and good, lacking physical presence and menace, and is unlucky in love. Black River Falls is a small, conservative town run by a handful of families, where everyone seems to know everyone. The story revolves around an apparent murder-suicide. It’s a strong hook, but after opening the story lacks impetus and tension until near the end despite the various rivalries and the themes of race and abortion subverting the conservative values of small town America. The sense of place and characters also seemed a little one-dimensional, and it was a mystery to me as to why McCain was mooning over Pamela, when he clearly had more affection for both Mary and his beatnik lover. Where Gorman did hit the mark was with the sense of time and culture, evoking the music, and race and class politics of the mid-west in the 1950s. 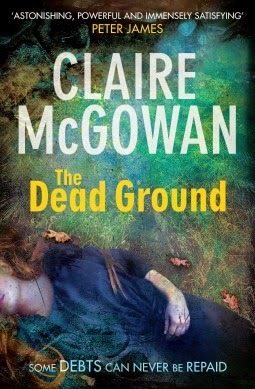 Overall, a pleasant enough read and a nice twist on the typical P.I. tale. 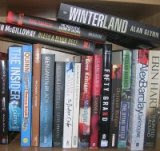 During the week I posted the 600th book review on the blog. I also popped into Hodges Figgis bookstore in Dublin after missing a train and the experience drove home how many thousands of crime fiction books are in circulation. So many books, so little time! I picked up three more, despite my plan to buy less in the first half of this year and reduce the TBR. 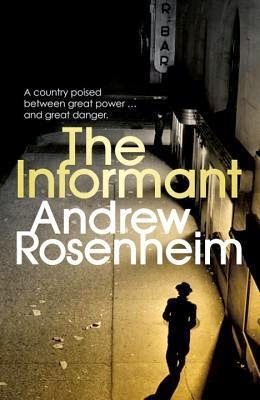 They were Red Joan by Jennie Rooney, The Informant by Andrew Rosenheim, and The Yard by Alex Grecian. I also purchased Adrian McKinty's Gun Street Girl yesterday. That means that so far this year I've bought more than I've read. Oh well, better get back to reading. On other news, Stumped was reviewed in Irish Times yesterday by the doyen of Irish crime fiction, Declan Burke. He writes: "... a delightfully preposterous tale ... Kitchin maintains a cracking pace and generates plenty of humour by switching rapidly between the perspectives of a swarming host of outlandish characters." I'll take that. Tom stared absently at the shelves of healthcare products. ‘I’m just going to find some cream crackers,’ Sarah said. Tom grunted in response. Eventually he spotted the condoms and dropped two boxes into the shopping trolley. An old lady rounded his back and pushed the trolley down the aisle. Up ahead Sarah turned the corner. Tom shuffled after the lady, grabbed the boxes, and dropped them into Sarah’s passing trolley. ‘And I thought it was my lucky day,’ the woman said. Ellery Queen, the amateur detective son of a New York police inspector, is visiting a friend at the Dutch Memorial Hospital, where he gets invited to witness the removal of a gall bladder. However, when the sheet covering the patient is pulled back, it reveals that the elderly millionaire, Abigail Doorn, has been strangled during pre-op. Quickly sealing the hospital, Queen calls for his father and starts to investigate his most difficult case to date. It appears that someone with nerves of steel has impersonated a leading surgeon and murdered the woman in a busy hospital. With plenty of suspects but few clues to work with Queen struggles to solve the mystery. 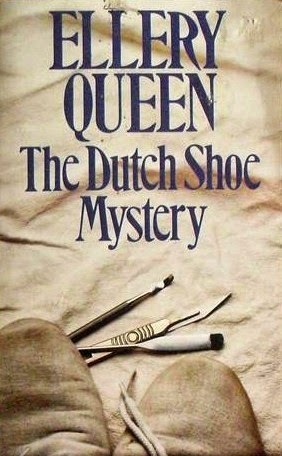 Published in 1931, The Dutch Shoe Mystery is the third book in the Ellery Queen series, jointly written by cousins, Frederic Dannay and Manfred Lee, under the pen-name of Ellery Queen. 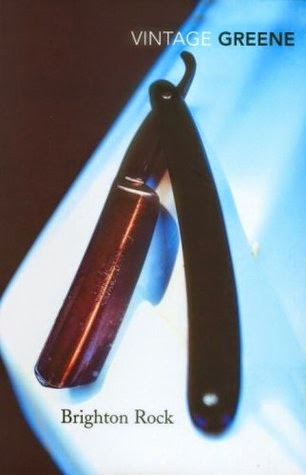 The series was considered one of the finest examples of a ‘fair play’ mysteries, with the reader presented with all of the clues available to the fictional detective so that they might solve it for themselves. Indeed, the book includes a ‘challenge to the reader’ page inserted near the end of the book, prior to the denouement, that asks them to try and identify the killer based on the clues revealed in the plot. The Dutch Shoe Mystery is a variation on the locked room mystery in that one of the workers, patients or visitors within the vicinity of the pre-op room must have perpetrated the crime and was almost certainly still present on its discovery. And the investigation soon reveals plenty of people present with the motive to murder the victim. The strength of the story is the intricate plot, which charts the detective’s investigation and reasoning. However, this offset somewhat by the dryness of the read, the fact that Ellery Queen is quite a difficult character to warm to, being somewhat aloof, snobbish and self-obsessed, and the fact that whole premise felt somewhat contrived in order to produce the puzzle. Nonetheless, an interesting read for the puzzle and challenge of solving it. The publisher of Stumped is running a special promo this weekend for kindle readers. 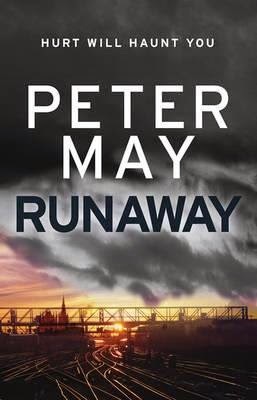 It's £1.99 or $3 on Amazon (co.uk or .com). So if you're bored of TV and are looking for a fun, light read, clickety-click on the links above. Here's what some nice folk have said about it. ‘What?’ replied an elderly man, sitting up. ‘It’s disgusting.’ The man kicked at a lacy bra. Just five years after the end of the Second World War, the Korean War was the first of a set of ideological wars between the capitalist United States and her allies and communist states, which threatened to make the cold war with the Soviet Union a hot one. 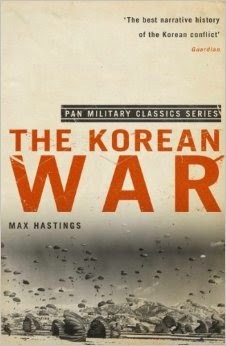 In The Korean War, Max Hastings sets out the historical context and lead-up to the war, its initial unfolding and the deployment of a United Nations forces, and its bloody progression up to the armistice in 1953. 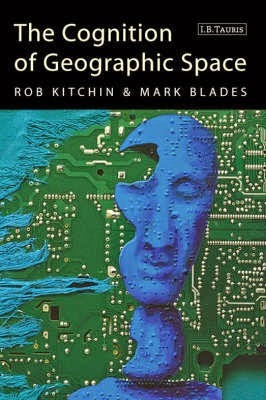 The book covers the wider general arc of the war, its ideology and politics, military actions, and the principle actors and their acts, but also has a series of smaller stories about individuals, and chapters about specific aspects of the war, such the air war, intelligence, and prisoners of war. There’s a wealth of information based on an analysis of documentary sources and interviews with over 200 participants. And rather than just describe what happened, he’s prepared to provide analysis and judgement as to cause and effects. However, whilst the book provides an overarching analysis, it is fair to say it is a decidedly slanted one, and has a number of notable absences. Hastings is a British journalist and historian and the book has a definite British slant in terms of analysis and sources. There is some criticism of the British participation, but largely the British role both militarily and diplomatically is portrayed favourably. On the other hand, the Americans do not fair so well, in part because they did make a hames of many situations, but it seems that more than that is going on. For example, the British disaster at Imjin is depicted as a heroic last stand and plucky retreat, whereas the very similar American defeat at Chosin is framed as a deadly calamity. His coverage of the Chinese participation is relatively scant and certainly coloured by his own ideological position. However, by far the largest absence from the book is how the citizens and soldiers of the Republic of Korea and North Korea viewed and experienced the war. Beyond a handful of anecdotes and some sweeping statements, the Korean people and Korean politics are almost absent in a book about Korea. Perhaps this is to be expected in a book written by a British historian and the bias toward using Western, and in particular, British sources and interviews, but it does create a somewhat lopsided narrative. The other major gap is what happened in Korea after the war ended in 1953. Instead of tracking the post-war developments in both parts of Korea, Hastings instead compares the Korean war with Vietnam and the wider conflict with communism. It’s another way in which he demonstrates that the book is not so much an analysis of the Korean war, but a war against communism fought in Korea. It’s shame that it couldn’t have been both. Nonetheless, it’s a very useful starting point for anyone interested in getting an overarching, if particular, account of the war. I'm always a little conflicted buying books in a charity shop: on the one hand, I'm giving money to a good cause, on the other I know the author isn't getting a penny. Hopefully a little oxygen via the blog is a bit of compensation. Much to his surprise, at the end of Second World War, Dan MacNeill is commissioned into a Highland regiment, moving from Burma to the Middle East. 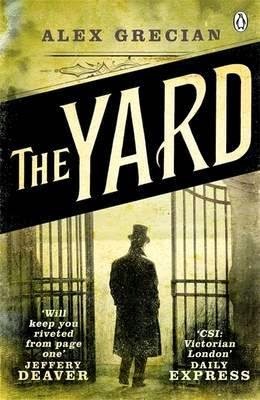 As a young officer he’s struggles to find his place and assert his authority and proceeds through a series of incidents, including a football tour, being in charge of troop train making its way between Cairo and Jerusalem, an inspection by a general, changing of the guard at Edinburgh castle, a court martial, and regimental rivalry at the Highland games. The General Danced at Dawn is the first book in a set of three semi-fictional memoirs of Lieutenant Dand McNeill, based on the first-hand experiences of George Macdonald Fraser. The book has a weak overall story arc, consisting of a set of anecdotes about various incidents, as McNeill makes his way from Burma, via the Middle East, to Edinburgh. Told in a light-hearted fashion, each of the stories has a humorous tone, being more amusing than laugh-out loud, as McNeill blunders through various scrapes and japes with an odd assortment of characters that populate his regiment and those they encounter. Macdonald uses the same memoir technique to much better effect with the Flashman series, where the overall story arc and hook is much stronger both in relation to the main character and historical framing. Overall, an amusing set of anecdotes, but little more. A quite slow month of reading and an even slower month of writing reviews. In the end I managed six books. 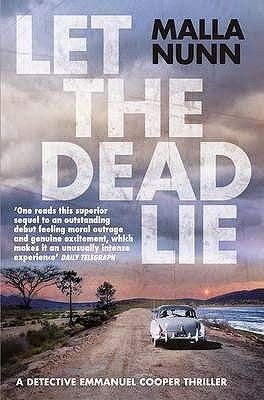 Usually there's quite a bit of variation in my assessment, but oddly I scored them all at three and a half stars except for Malla Nunn's Let the Dead Lie, which is my book of the month. And on reflection I think that's fair; they were all decent enough reads without being something special. Hopefully the pressure at work will now drop and I can get back to usual business. There should be three reviews this week as I finally finished a book I've been reading for a while and then shot through two more between Thursday and Sunday. 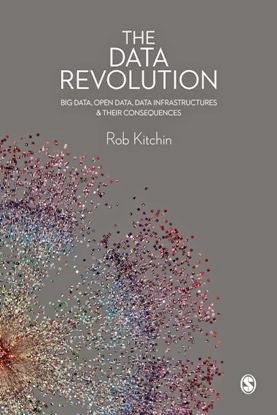 In the past couple of weeks I've had a number of invitations to present talks, all to do with my research on smart cities and big data, with one exception - an invite to present at an academic event in June at Queen's University Belfast concerned with rurality and crime fiction. 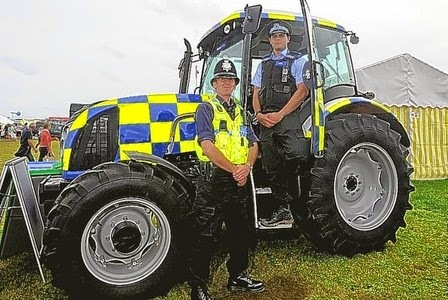 Basically they want me to use the lens of cultural and literary geographies to examine rurality in crime fiction. I've not written an academic paper about crime fiction as yet, and it's also been a long time since I looked at what's happening in literary geographies, so it'll be an interesting challenge. 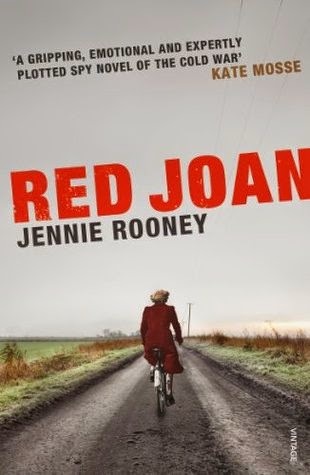 There's so many crime novels set in rural settings, and so many themes one could explore, it's actually quite difficult to know where to start. Answers in the comment box below please.